A single lock provides 13.1 feet (4.0 m) of lift. 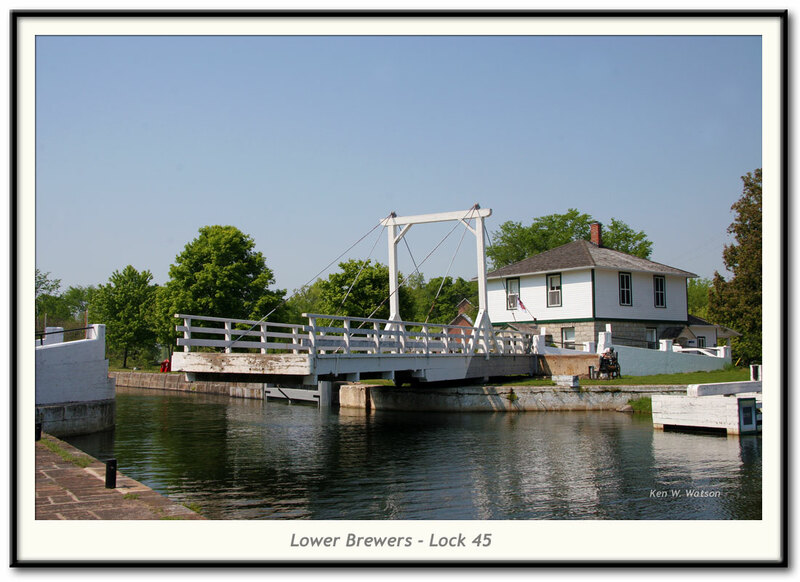 The photo shows the beautiful Unequal Arm, Center Bearing timber swing bridge (aka, somewhat incorrectly, a Kingpost Truss Swing Bridge), one of only four left on the Rideau Canal. Also in the photo is the defensible lockmaster's house, originally a one storey stone building, the second storey was added in about 1899. This location is also known as Washburn, a name coined by the postmaster here in the 1870s, combining the Scottish words "wash" as in bywash and "burn", meaning stream.